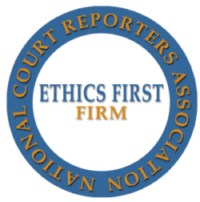 Shreveport Court Reporters | Louisiana | Brooks Court Reporting, Inc. If you’re in need of a Shreveport court reporter, videographer, conference room or videoconferencing for your deposition or proceeding, look no further than Brooks Court Reporting. High volume, quick turnaround, and quality work are our corporate expectations and we are proud to support our professionals with state of the art equipment and continuing education. For decades, Brooks Court Reporting has provided court reporters, videographers, videoconferencing and conference rooms in Louisiana, from Shreveport to New Orleans. Brooks Court Reporting became one of the first firms to offer realtime reporting services in the region. Our realtime deposition capabilities surpass others in the industry allowing Brooks Court Reporting to offer highly technological realtime court reporting and multiple IT connections for depositions in and out of state. Realtime you can read at the deposition is important. Our court reporters are experienced in all types of proceedings, keep up with the latest training and certifications in the industry.